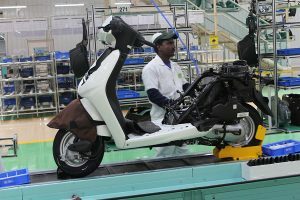 Continuing to invest in ‘Make in India’, Honda Motorcycle & Scooter India Pvt. 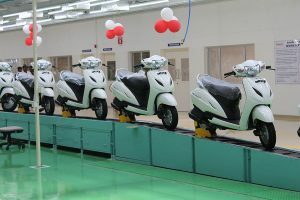 Ltd. (HMSI) today inaugurated the fourth assembly line at its landmark third two-wheeler plant at Narsapura (near Bengaluru, Karnataka) in India. 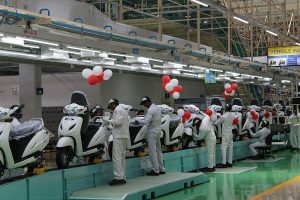 With this latest expansion of 0.6 million units, Honda 2Wheelers India’s combined annual production capacity from all four plants is 6.4 million units annually – making India the No. 1 production hub for Honda’s two-wheeler operation globally for the first time. 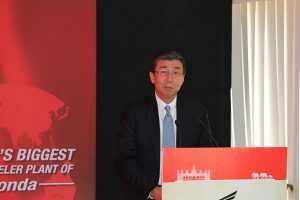 Present at the line inauguration at Honda’s third plant in Karnataka were Mr. Shinji Aoyama, Chief Officer – Asia and Oceania Regional Operations, Honda Motor Co., Ltd.), Mr. Minoru Kato (President & CEO – Honda Motorcycle & Scooter India Pvt. 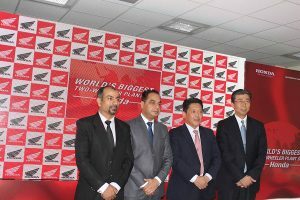 Ltd) and senior management officials from Honda. Honda’s two-wheeler business spans more than 120 countries worldwide and India is leading the demand. 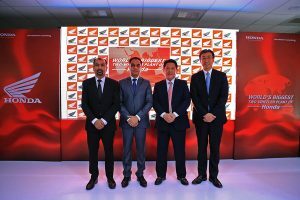 In 2016-17, India alone contributed 28% to Honda’s global 2Wheeler sales and became the No. 1 contributor to Honda’s two-wheeler business. 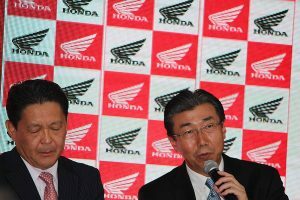 The growing Indian 2Wheeler market is top priority for Honda. 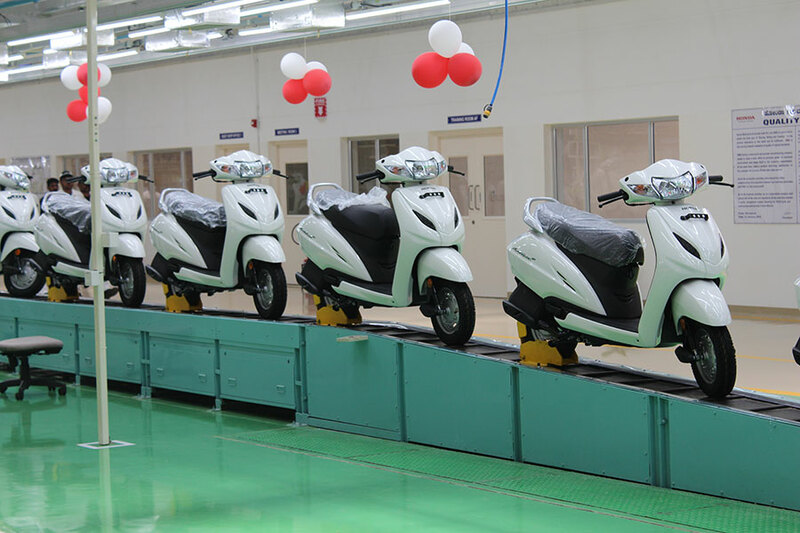 To better meet dynamic market demand and to prepare for the future opportunities, today Honda has inaugurated the fourth assembly line in the Karnataka plant. With this, the Narsapura plant will now produce 24 lac two-wheelers annually. 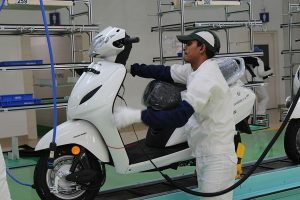 This makes the Narsapura the world’s largest two-wheeler plant for Honda and also India the No. 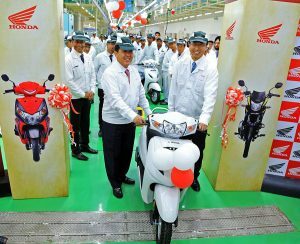 1 production base for Honda globally. 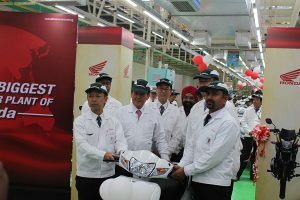 In the first quarter of FY’2017-18, Honda Wheelers India aggressive growth led the industry momentum. 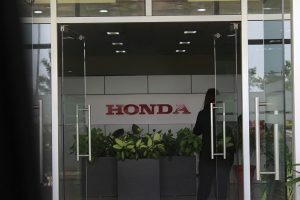 Growing double the speed of industry at 19%, Honda alone contributed 68% to industry’s new volumes resulting in 3% market share gain to ever highest of 30%. 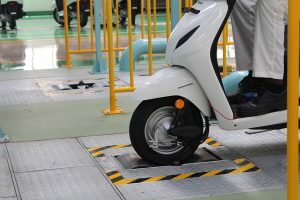 While expanding leadership in scooter segment (59% market share), Honda is now also the new No. 2 motorcycle brand of India. 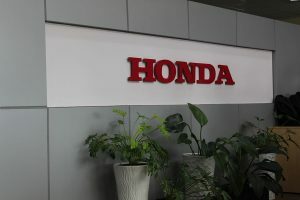 The latest expansion further fortifies Honda’s ability to serve the market faster with its increased annual production capacity to 6.4 million units from all plants. In the long term, Honda 2Wheelers India’s steady and strategic investments will power our dreams to make India the Export hub worldwide. 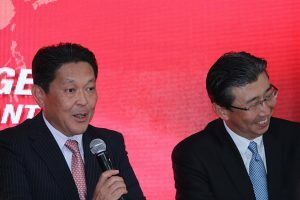 The new 4th assembly line adds another 0.6 million units capacity, increasing Honda’s third plant annual production capacity to 2.4 million units. 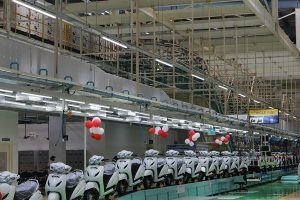 This latest expansion increases Honda 2Wheelers India’s total annual production capacity to 6.4 million units from its four plants. 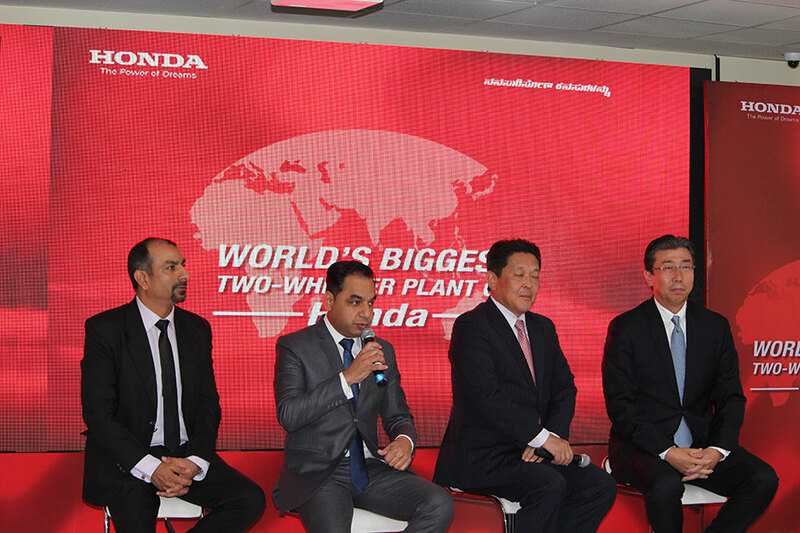 With the new capacity expansion, Honda 2Wheeler India has made two new global records. Firstly, the Narsapura plant is the now World’s Largest two-wheeler plant of Honda. 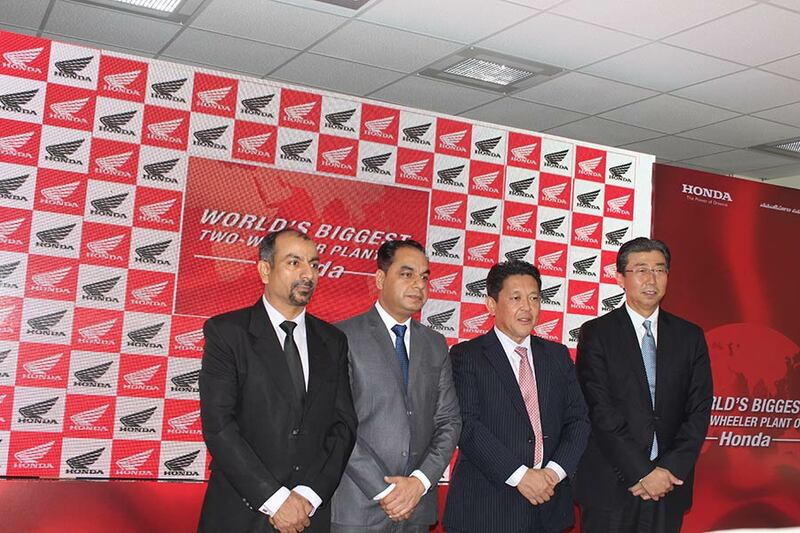 Secondly, this expansion has made India the No. 1 in two-wheeler production base for Honda worldwide. 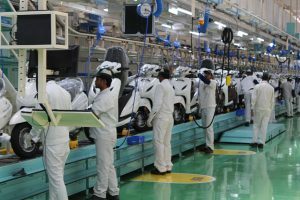 Honda’s two-wheeler plant in Narsapura has given a big boost to socio-economic development in Karnataka. Honda together with its 26 suppliers who set up ancillary units locally have invested over INR 5,400 crore and generated nearly 22,000 employment in the state! 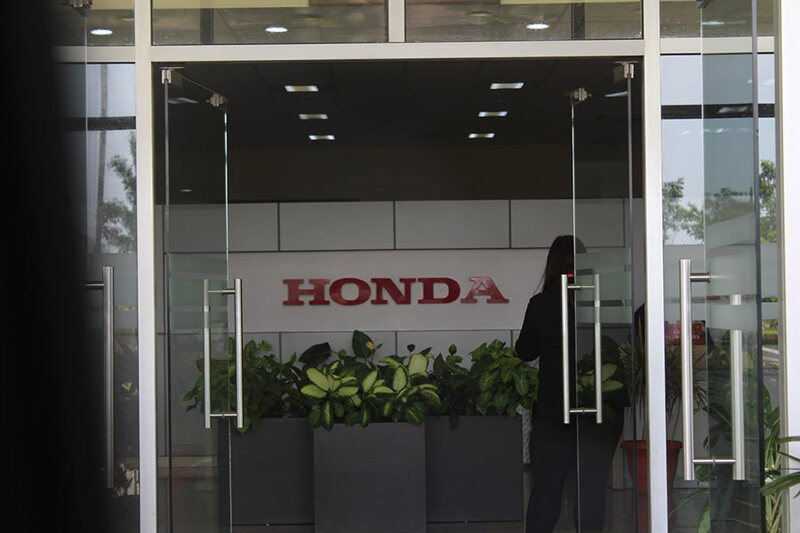 Directly, Honda’s Narsapura plant employs 7,000 associates with investment of INR 2,600 crore. Indirectly, 26 new suppliers who up manufacturing facilities in Karnataka have made additional investment of INR 2,800 crore and created 15,000 additional employment opportunities at their plants. 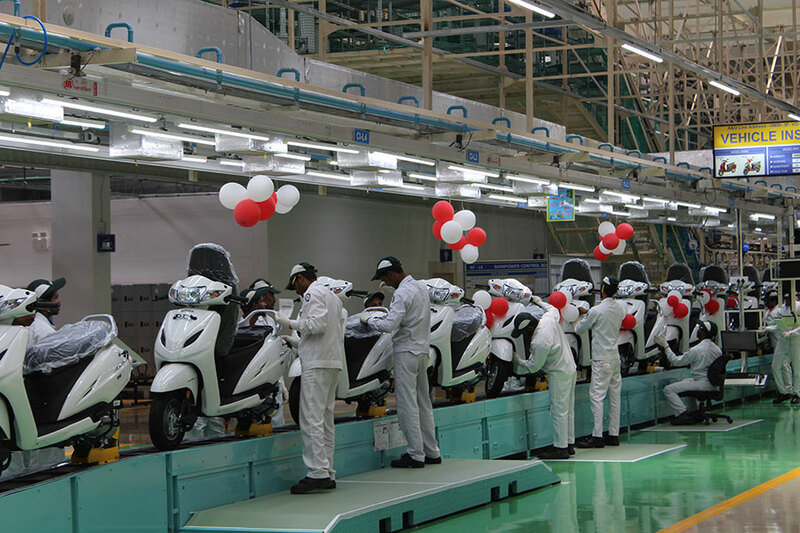 The Narsapura plant has many innovations and manufacturing firsts which have contributed to making it the ‘World’s Highest productivity plant of Honda’. 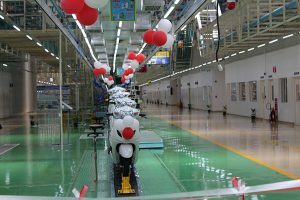 This is Honda’s first 2Wheeler plant worldwide which has a manufacturing innovation of fully automated paint booth air balancing system. The system automatically adjusts amount of air necessary for the paint flow, which was done manually earlier. 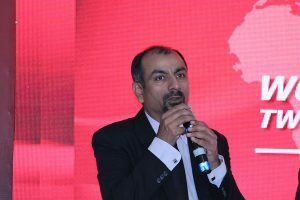 Additionally, aiming to achieve the enhanced safety and efficiency at production sites, as well as reduction in fatigue of operators. 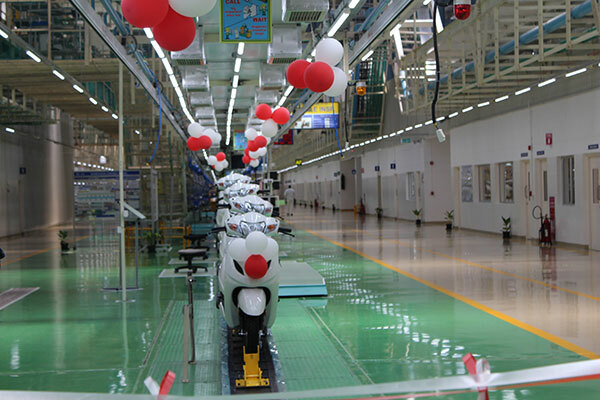 Honda 2wheeler has added on 14 robotic processes which were done manually in the past in the areas including paint shop, welding, and material handling. 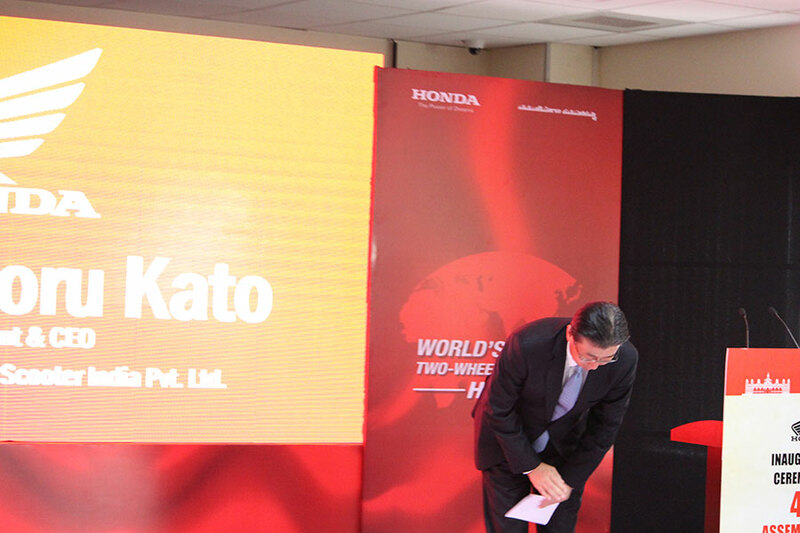 At the core of Honda’s 3rd plant is innovation and state of the art manufacturing technology. 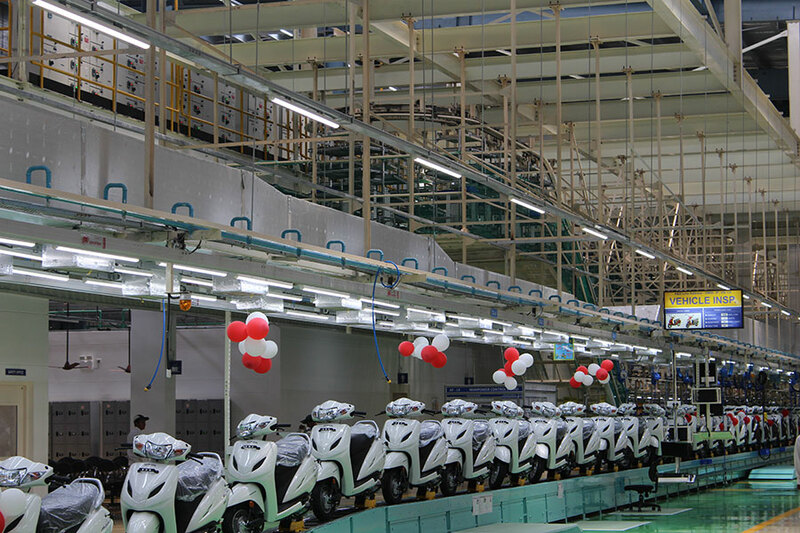 Developed with a Green Factory concept, the Narsapura plant is the Honda 2Wheeler India’s only plant with 100% rain water harvesting system (nearly 4 lakh liters of water is recycled and re-used per day with zero external water consumption) and zero liquid discharge plant. 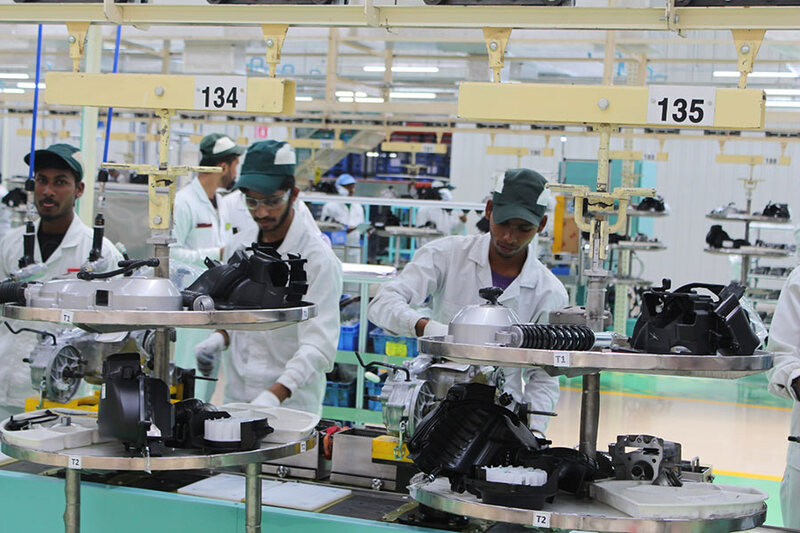 The plant is committed to achieve 80% of energy requirements from solar power (generating 85,000 KWH solar power per day) and reduce carbon footprint by 50,000 tonnes of CO2 emissions annually by October 2017. Check out the gallery below for photos of Honda’s 4th plant.